Relax and unwind in the heart of Galway city this winter. 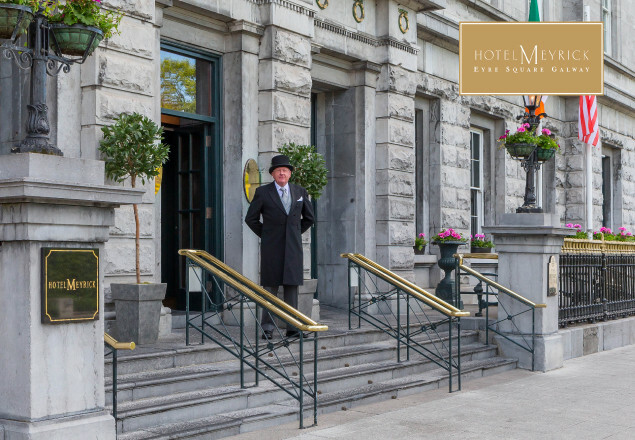 In another exclusive, Rewarding Times has teamed up with Hotel Meyrick in Galway to offer you a two night stay in a suite for two people, breakfast both mornings, and a sumptuous 3 course evening meal in No 15 on the Square Restaurant on one evening, for only €299. While staying at the hotel guests can relax and unwind in the Square Spa & Health Club located on level 5 of the hotel, where an outdoor Canadian hot tub, Jacuzzi, Steam room and Full Fitness Suite are among the amenities. The spa also offers a full list of pampering treats & packages.